The Israeli occupation forces (IOF) on Sunday evening kidnapped a Palestinian farmer and his son from their olive grove in Qalqilya’s eastern town of Azzoun. 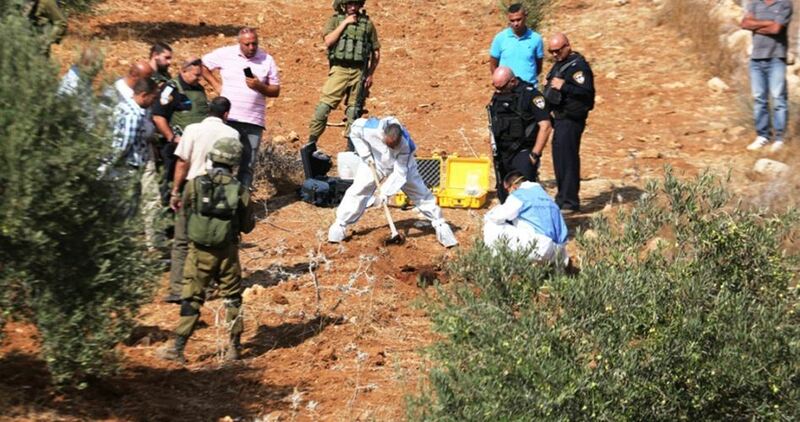 A PIC news correspondent said Israeli soldiers stormed Palestinian olive groves in Azzoun and kidnapped the Palestinian landowner Mohamed Shebita and his 12-year-old son, Hamza, while they were picking olives. The Israeli occupation army has stepped up crackdowns against Palestinian farmers during the olive-picking season in an attempt to force them out of their lands and ease harvest-theft by Israeli settlers residing in illegal settlement outposts across the occupied Palestinian territories. 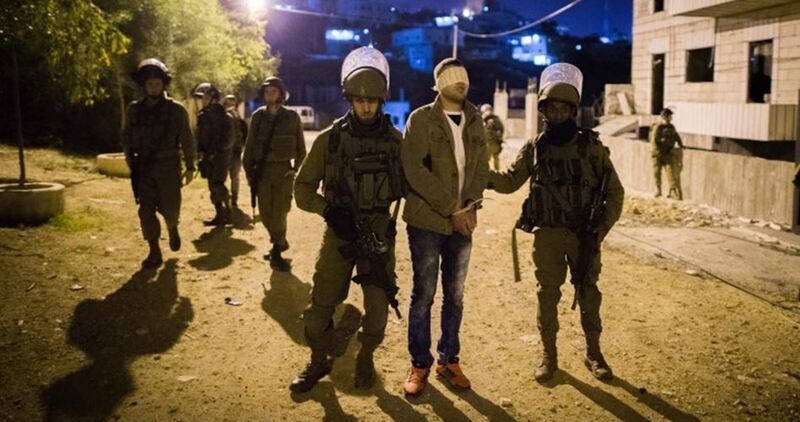 The Palestinian Prisoner’s Society (PPS) has reported that Israeli soldiers have abducted, on Sunday at dawn, at least six Palestinians in the West Bank governorates of Qalqilia, Nablus and Bethlehem. The Qalqilia office of the PPS, in northern West Bank, said the soldiers invaded several homes in various parts of the governorate, and abducted two children, identified as Mahmoud Yousef Freij, 15, and Hammoud Bilal Mansour, 14. In Nablus, also in northern West Bank, the PPS said the soldiers searched many homes, and abducted Sultan al-Meenawi and Awad Abu Salha. 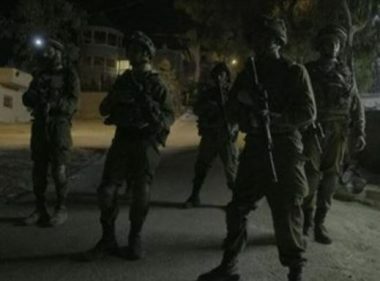 Furthermore, the soldiers invaded Teqoua’ town, east of the West Bank city of Bethlehem, searched homes and abducted two Palestinian teenagers, identified as Hussein Khaled al-Badan, 17, and Mohammad Suleiman Sha’er, 16. 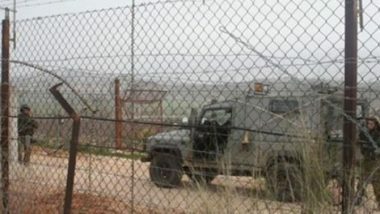 The soldiers also closed the main gate at the entrance of the al-Fawwar refugee camp, south of Hebron, in the southern part of the West Bank, and prevented the Palestinians from entering or leaving it. The closure also obstructed the work of Palestinian sanitization specialists who are trying to resolve water pollution issues in the refugee camp. Israeli occupation forces on Sunday arrested a Palestinian boy and a girl from Jerusalem and al-Khalil respectively. 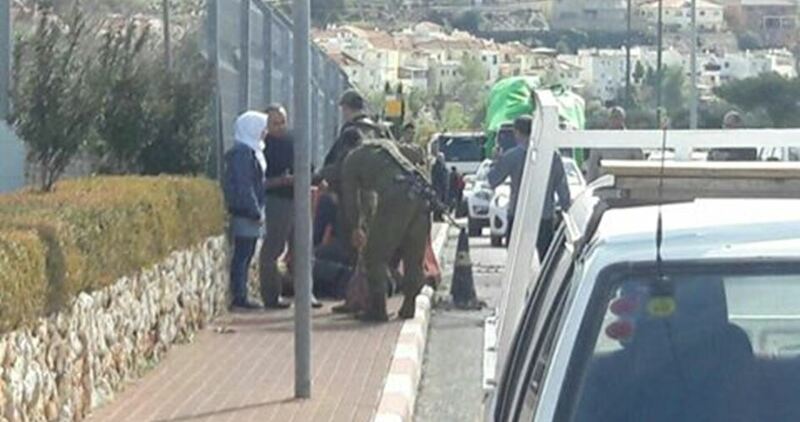 The Hebrew website "0404", which is close to the Israeli army, reported that a 16-year-old girl was arrested at a checkpoint near the Ibrahimi Mosque on charges of intending to carry out a stabbing attack against Israeli soldiers. The website noted that the Israeli soldiers searched the minor, who was later taken for interrogation, without finding a knife or any other weapon in her possession. Local Palestinian sources affirmed that a Palestinian girl was stopped and searched at Abu al-Rish checkpoint near the Ibrahimi Mosque before being detained by the Israeli soldiers. 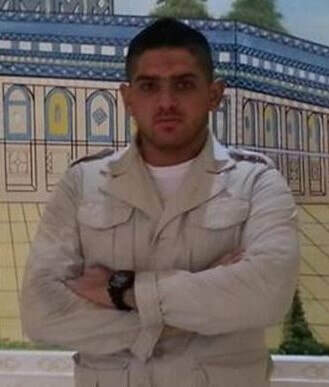 Meanwhile in Occupied Jerusalem, officers from the Israeli intelligence service, accompanied by special forces, arrested Mohammed Hijazi in al-Sa'diya neighborhood in the Old City and transferred him to a nearby detention center. Palestinian Prisoners Center for Studies revealed that some 540 Palestinian detainees in Israeli jails including males and females who form 8.3% of the total number of captives suffer eye diseases. These diseases include cornea, retina, optic nerve, visual pathways, lens disorders, and visual deviation. In a report issued on Sunday, the center attributed that the diseases to the fact that prisoners are subjected to torture during investigations including strong beating. Besides, being held in dark or semi-lightened prison cells within a restricted area, where detainees spend very long time, affects their vision, the report stated. The report also pointed out that lacking eye-specialist doctors in Israeli prisons, where detainees are offered inappropriate food and medications, has also aggravated the suffering of captives. 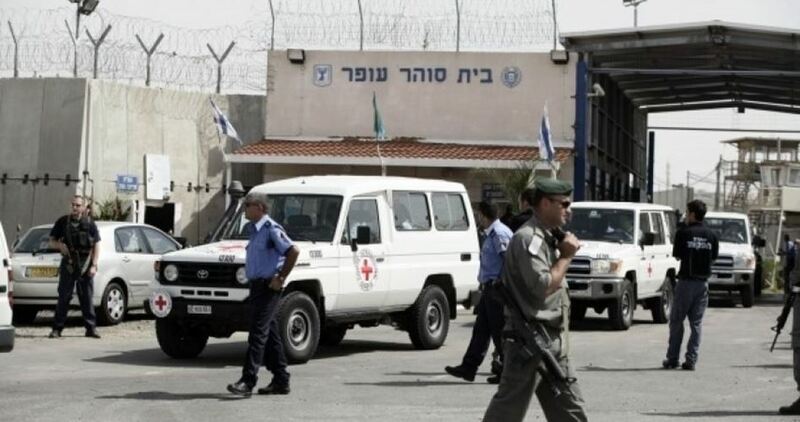 The center called on international organizations especially the International Committee of the Red Cross to send an eye specialist to serve Palestinian sick prisoners and to provide them with eyeglasses that should be replaced in less than two years. The Israeli occupation forces (IOF) last night and at dawn Sunday kidnapped four Palestinian young men in different West Bank areas. 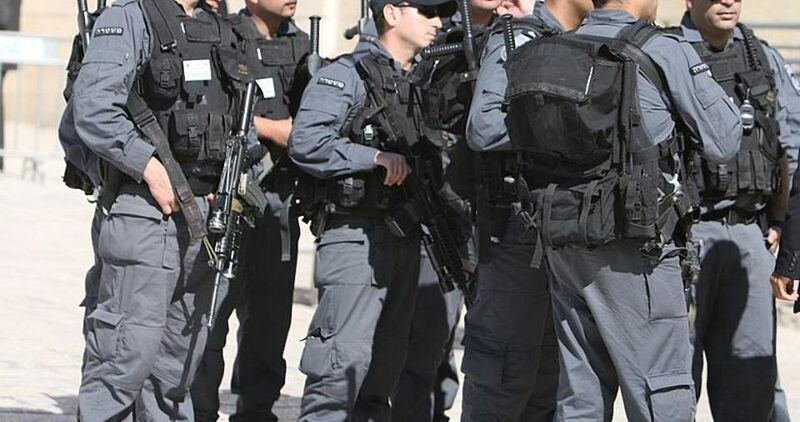 According to local sources, the IOF kidnapped two teenagers called Hussein al-Badan and Mohamed al-Sha’er from their homes in Taqua town, east of Bethlehem. In Nablus, two young men were taken prisoners by Israeli soldiers last night at Za’atara checkpoint, south of the city, after intercepting the car they were aboard. The young detainees were identified as Awad Abu Saliha and Sultan al-Minawi, who work at the Nablus fire department. Dozens of Palestinian young men were rounded up at the same checkpoint recently. 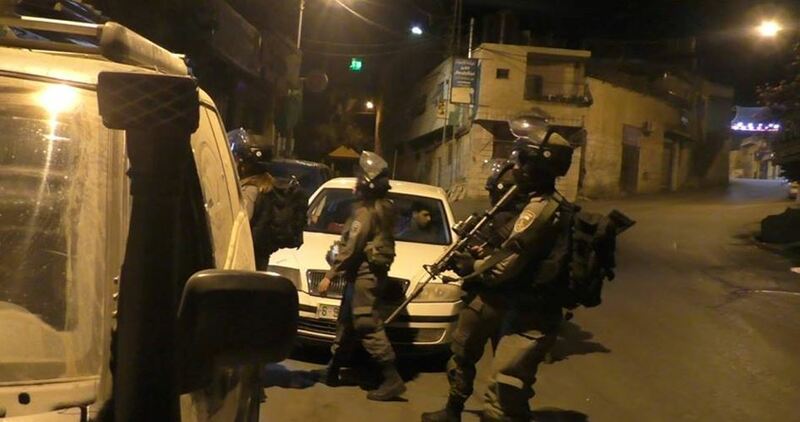 The IOF also stormed at dawn Nabi Saleh village in Ramallah and raided several homes, with no reported arrests. Israeli Haaretz newspaper reported on Sunday that Israeli Police mistakenly arrested a Palestinian worker last week because they relied on automatic translation software to translate a post he wrote on his Facebook page. The Palestinian man was arrested after writing “good morning,” which was misinterpreted. The Facebook post mistranslated 'good morning' to “slaughter them”. Last week, the man posted on his Facebook page a picture from the construction site where he works in the West Bank settlement of Beitar Ilit near Occupied Jerusalem. In the picture he is leaning against a bulldozer alongside the caption: “Good morning” in Arabic. The automatic translation service offered by Facebook translated “good morning” as “attack them” in Hebrew and “hurt them” in English, Haaretz stated. Israeli occupation authorities set a law that legitimizes arresting social media activists. 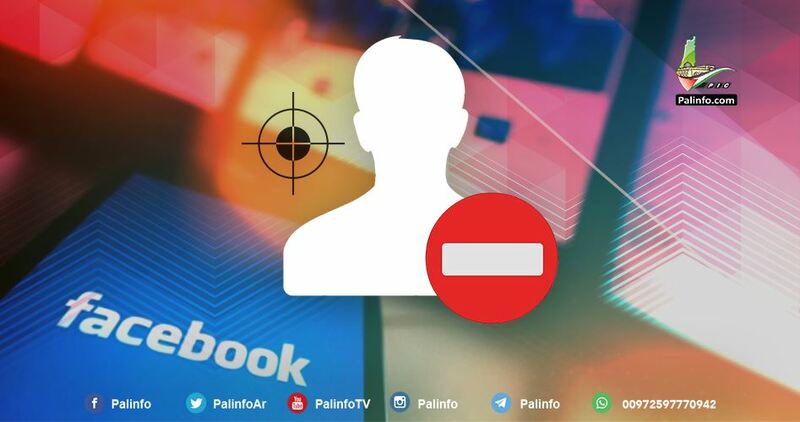 Since the beginning of the year, Israeli forces rounded up hundreds of Palestinians at the pretext of incitement over Facebook based on mere suspicion. Palestinian prisoner Hassan Shawka, aged 29, has been on an open-ended hunger-strike for 12 days running to protest his arbitrary incarceration in Israeli jails. A lawyer from the Palestinian Prisoners Society said following a visit to prisoner Shawka in the Israeli Ofer jail that the prison administration transferred the detainee to an isolated cell shortly after he announced his hunger strike. The detainee only drinks water and refuses to undergo medical check-ups to protest his administrative detention, with neither charge nor trial. The lawyer quoted prisoner Shawka as stating that he is enduring a headache and sight disorders. He has also been diagnosed with asthma and eye deviation. Shawka has spent a total of 12 years in Israeli jails, among them eight years in administrative detention. He was rearrested by the Israeli occupation forces on August 28, just one month after he got released from Israeli lock-ups, and was sentenced to a six-month term without trial. 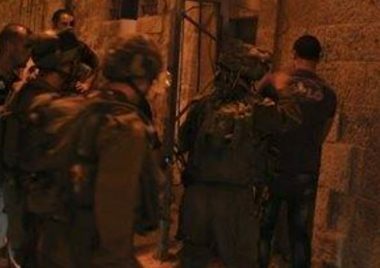 The Israeli occupation forces (IOF) on Saturday evening kidnapped six Palestinians, including a child, from the West Bank and Jerusalem. According to local sources, the Israeli forces kidnapped two Palestinian young men—Mustafa Abu Esneineh and Alaa Najib—from Jerusalem’s al-Wad Street after they subjected them to heavy beating. 16-year-old Mazen Khreisheh was kidnapped by the IOF during clashes rocking Qalqilya’s eastern town of Gios. 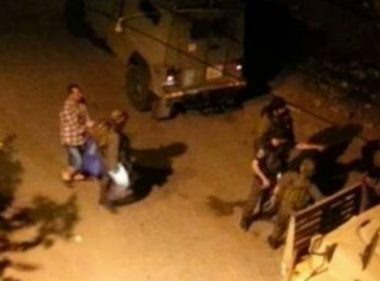 At the same time, the occupation soldiers kidnapped a Palestinian youth in his early 20s from his family home in Jenin’s southern town of Kfeirt. The IOF further chased down youngsters Adham al-Qadi and Hadi Khamayseh before they kidnapped them from a bypass road east of Jenin. Israeli soldiers invaded, on Sunday at dawn, the town of Teqoua’, east of the West Bank city of Bethlehem, searched homes and abducted two Palestinian teenagers. Media sources said the soldiers invaded the town from several directions, and searched homes. The added that the soldiers abducted Hussein Khaled al-Badan, 17, and Mohammad Suleiman Sha’er, 16, after invading their homes and searching them. In related news, Israeli sources said that two officers were mildly injured, after Palestinian youngsters hurled stones on them, in the al-‘Isawiya town, east of Jerusalem. The police said it entered the town to investigate the circumstances that led to the burning of two cars in the town. 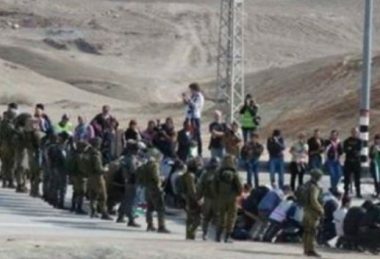 The Israeli police in the Negev detained, on Sunday at dawn, 67 Palestinian workers, including 40 minors, for what the police said entering and working the country without permits, and confiscated four cars for workers in Shakiv illegal colony, built on Palestinian lands in Beit Awwa town, in the southern West Bank governorate of Hebron. The Arabs48 News Website has reported that the police received information about the Palestinian workers, and instantly went to the area, before detaining them. It added that the workers were detained after harvesting and loading 20-24 tons of grapes, and 5-7 tons of Tomatoes into four trucks. Palestinian workers are subject to frequent Israeli violations against them, due to repeated police invasions and searches. Many of them have work permits, but the police repeatedly tear apart. 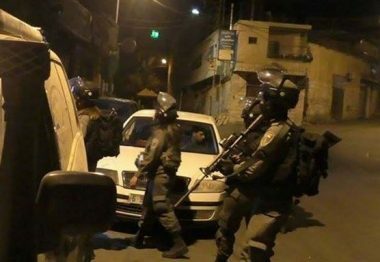 Israeli soldiers invaded, on Friday at dawn, many Palestinians areas in several parts of the occupied West Bank, before breaking into homes and violently searching them, and abducted at least ten Palestinians, the Palestinian Prisoners’ Society (PPS) said. The Qalqilia office of the PPS, in northern West Bank, said the soldiers invaded homes in ‘Azzoun town, east of the city, and abducted Rashid Mahmoud Radwan, 60. Eyewitnesses said dozens of soldiers surrounded Radwan’s home, before invading it, and took him to an unknown destination. The soldiers also abducted Mahmoud Shatara, 43, after stopping him at a sudden military roadblock, on the main entrance of Qalqilia. 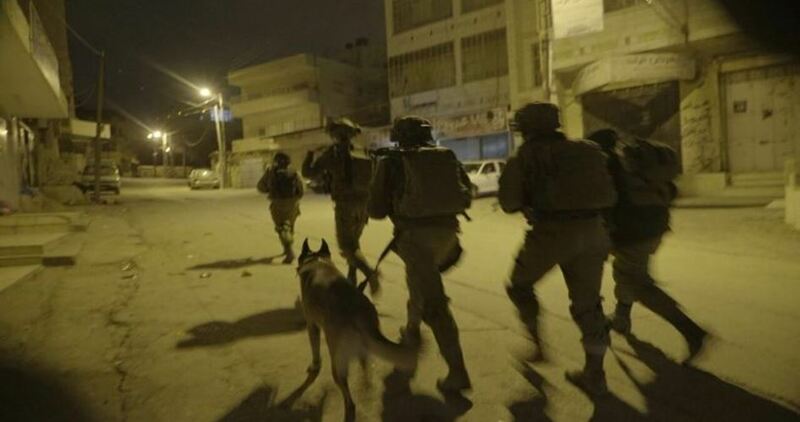 Furthermore, the soldiers abducted six Palestinians, including two siblings, from Ya’bad town, southwest Jenin, and two from Jenin city, in northern West Bank. The Jenin office of the PPS said the soldiers abducted Mohammad Ziad Salah, 21, and his brother Ziad, 16, after stopping them at a military roadblock. Four other Palestinians from the town were abducted after the soldiers invaded and searched their homes. They have been identified as Hadi Tawfiq Hamarsha, Mohammad Jalal Atatra, Mahdi Mahmoud Turkman and Jabr Ibrahim Hamarsha. 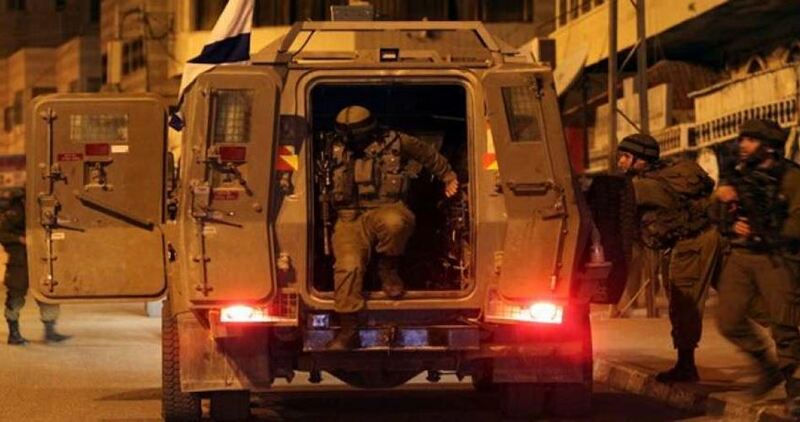 In Jenin city, the soldiers abducted Mohammad Shami, 17, and Abdullah Abdul-Halim, 17. Their families said the two went to school, a day earlier, but never returned home, so they started searching for them, only to find out at dawn Friday, that they were abducted by the soldiers. It is worth mentioning that the soldiers also invaded Silwad and Al-Mazra’a ash-Sharqiya towns, and the al-Jalazoun refugee camp, in Ramallah, and violently searched many homes, leading to clashes. The Israeli police on Friday morning claimed responsibility for the abduction of a Palestinian young man in Tel Aviv, saying they had suspicions the man was attempting to carry out an anti-occupation attack. The Israeli occupation authorities (IOA) on Thursday evening released two Palestinian detainees from jail. The family members and friends of 52-year-old Husam Hamdouni gathered in Jenin’s southern town of Yabad to welcome newly-released Husam, who had served 14 years in Israeli prisons. He was released from the Israeli Negev lock-up. 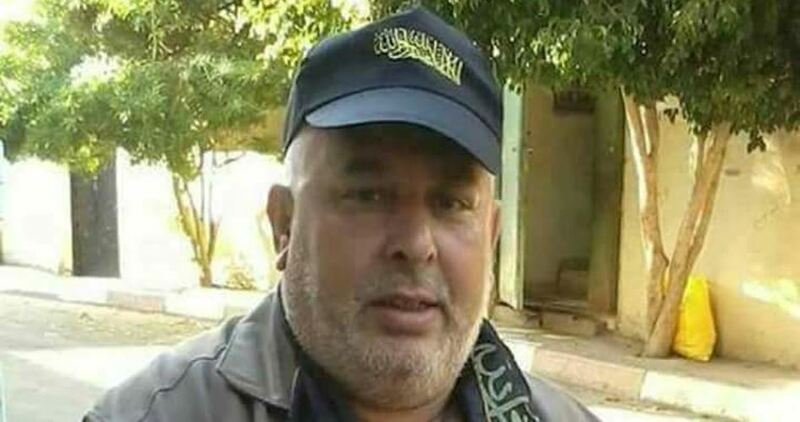 57-year-old Khaled Abu Zina, an Islamic Jihad leader, was also released after serving two years and a half in administrative detention, with neither charge nor trial. Both Husam and Khaled are natives of the northern occupied West Bank province of Jenin. 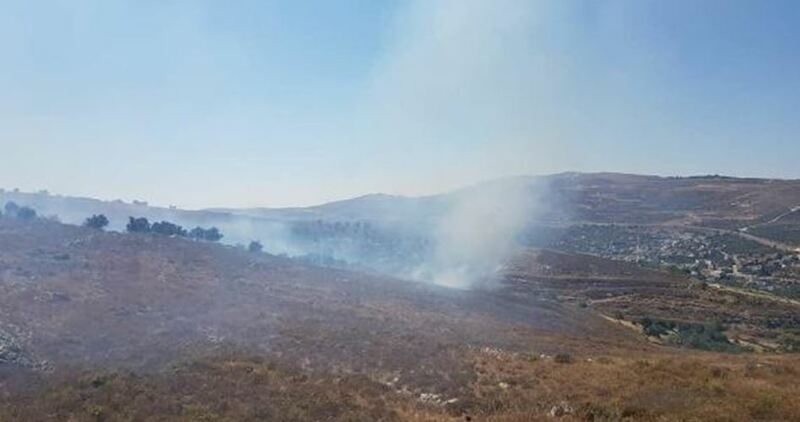 Similar clashes with soldiers also happened in Mazra'a ash-Sharqiya town, while an Israeli military force patrolled the streets of the nearby town of Silwad, with no reported arrests. Bilal Diab launched a hunger strike on Tuesday, 17 October following the denial of his appeal against his administrative detention, Israeli imprisonment without charge or trial on the basis of secret evidence. He announced his hunger strike with a statement: “My dignity is more precious than my life. I reject the unjust policy of administrative detention and walk in the footsteps of all those who struggle, all lovers of freedom, all those who crave justice, and all those who dream of a free and just state on the historic land of Palestine with its capital al-Quds,” he said. Diab joins fellow prisoner Hassan Shokeh, 29, from Bethlehem, who is on hunger strike for the eighth day against his administrative detention without charge or trial. Released from Israeli occupation prisons on 31 August, he was re-arrested only one month later and ordered to six months in administrative detention by the Ofer military court.Shokeh and Diab are now being held in isolation in retaliation for their hunger strikes. They are among over 450 Palestinians jailed without trial under administrative detention orders. These orders are issued for one to six months at a time and are indefinitely renewable; many Palestinians have been jailed for years without charge or trial under so-called “secret evidence” with Israeli administrative detention orders. 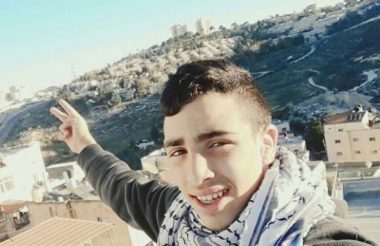 The occupation judge acquitted on Thursday the 14-year old Mus’ab Mahmoud Hussein from the charges against him after he had been under house-arrest for 6 months. The minors’ lawyer at Wadi Hilweh Information Center, Mohammad Mahmoud, explained that the judge decided to acquit Mus’ab Mheisen from the charges filed against him (throwing stones in the village of Esawyeh) for lack of evidence. Witnesses from the police were supposed to testify regarding the charges but the public prosecution decided not to bring police personnel. Consequently, the prosecution withdrew from the indictment. The occupation forces arrested the child Mheisen last April from inside an ambulance after he was shot by a sniper in the village of Esawyeh while heading with his family members to a social event. The bullet settled down his pelvis in a critical spot. After detaining him for several days, he was released on conditions of deportation from the village of Esawyeh and house-arrest. He was then allowed to go back to his house in the village while keeping him under house-arrest. After 15 and a half years in Israeli jails, the Israeli occupation authority (IOA) released on Wednesday Palestinian prisoner Mohamed al-Nadi, a 32-year-old young man from the new Askar refugee camp, east of Nablus city in the West Bank. 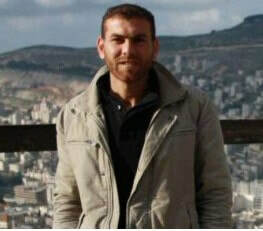 Nadi had been arrested by Israeli soldiers on May 26, 2002 when he was 16 years old and soon later he was indicted and sentenced to 15 years and eight months in prison. At the time, an Israeli prosecutor charged him with being a member of al-Qassam Brigades of Hamas and being involved in military activities against Israel. Hundreds of relatives, friends and citizens received Nadi upon his release at the Huwara checkpoint and participated in a vehicular procession to the new Askar camp. The Palestinian Prisoners’ Society (PPS) has reported that Israeli soldiers have abducted, on Thursday at dawn, seven Palestinians in the West Bank governorates of Ramallah, Nablus and Jericho, in the occupied West Bank. The PPS stated that the soldiers invaded and searched homes in Ramallah an al-Biereh governorate, abducted Mohammad Jamal ad-Dibsi, Hani Jamal ad-Dibsi, Marcel Faraj Barghouthi and Mahmoud Ma’rouf Dar Yousef. The soldiers also invaded homes in Askar refugee camp, in the northern West Bank city of Nablus, and abducted Ra’fat Abu Hdeib. 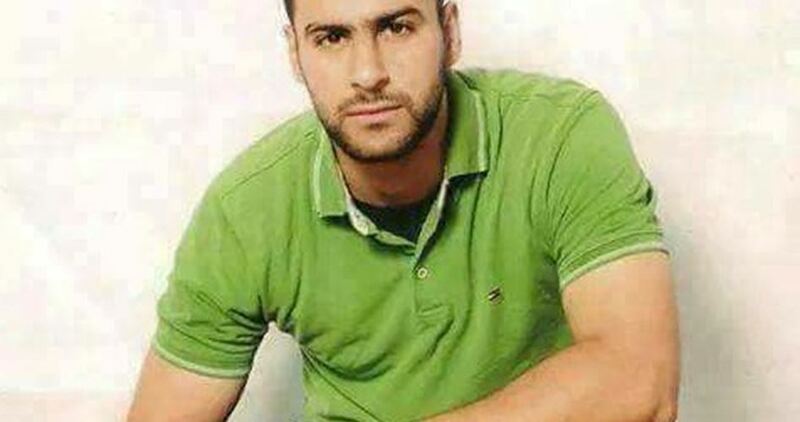 In addition, the soldiers abducted Riyad Jamal Shalalfa, 31, from his home in Jericho. In related news, the soldiers invaded many homes in Yatta town, south of the southern West Bank city of Hebron, and violently searched them, before confiscating 6000 shekels, and two cars owned by Mohammad Jibril Abu ‘Arram, and his brothers Ahmad and Mahmoud.